From the desert to the mountains to the ocean, Morocco’s diverse landscapes have something for everyone. For all of you beach bums out there, here’s a look at the best beaches in Morocco. 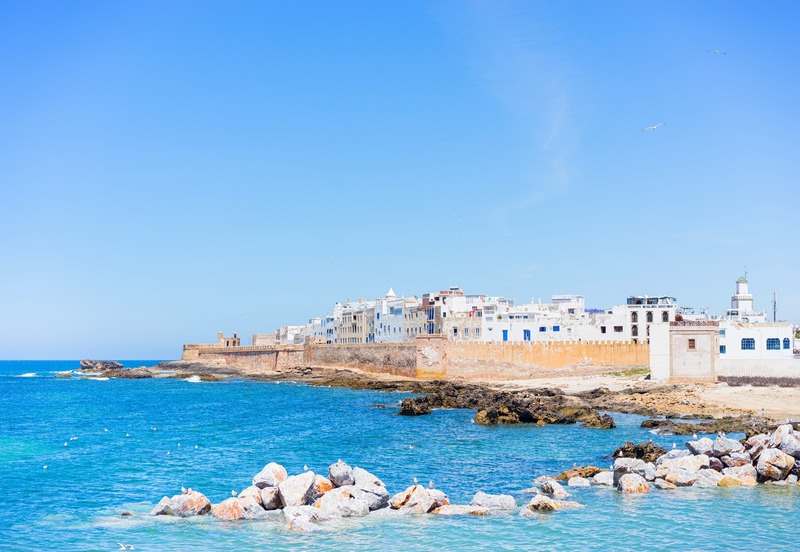 Bordered by the Mediterranean sea in the North and the Atlantic Ocean in the West, Morocco boasts 1200 miles of pristine coastline making the paradisiacal beaches of this North African gem ideal for a relaxing holiday and perfecting your tan. From Tangier to Dakhla via Al Hoceima and Agadir, here are the most beautiful beaches along the Moroccan coast. Essaouira, which means “well designed” in berber, is a charming city located in the Western Moroccan coast on the Atlantic. It is one of Morocco’s major fishing harbors and the setting for the annual Gnaoua World Music Festival. In this “windy city” and beach sports paradise, you can practice kitesurfing, windsurfing or regular surfing. 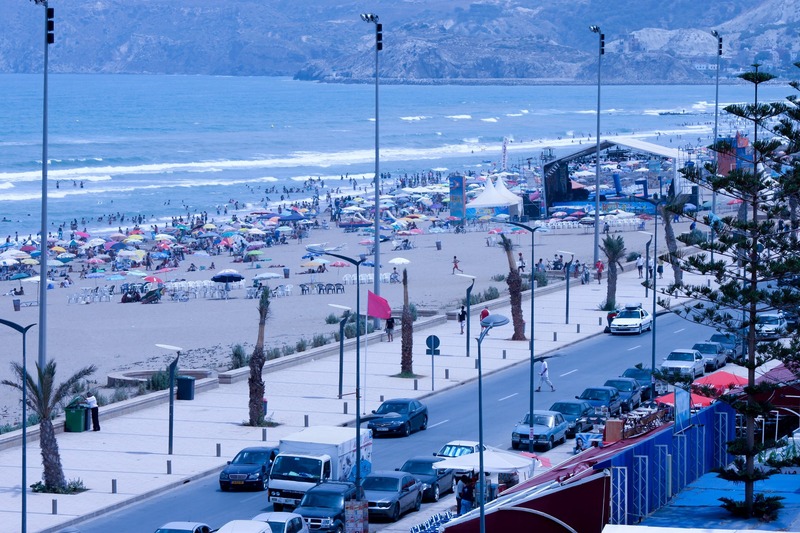 A few kilometers from Agadir, Taghazout is a small fishing village that has become a renowned spot for surfers. It is a place where time is irrelevant the locals are kind and helpful. The main activities (and source of income) are fishing, tourism and Argan oil production. 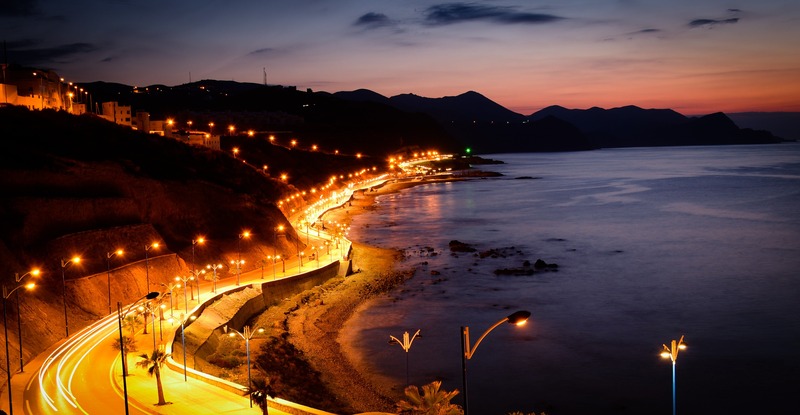 Known as the “blue pearl”, Saidia is a small city next to Oujda in northeast Morocco. The 14-kilometer coastline offers one of Morocco’s most beautiful and appreciated beaches. Enjoy the golden sand, the warm Mediterranean climate and the calm of the city. 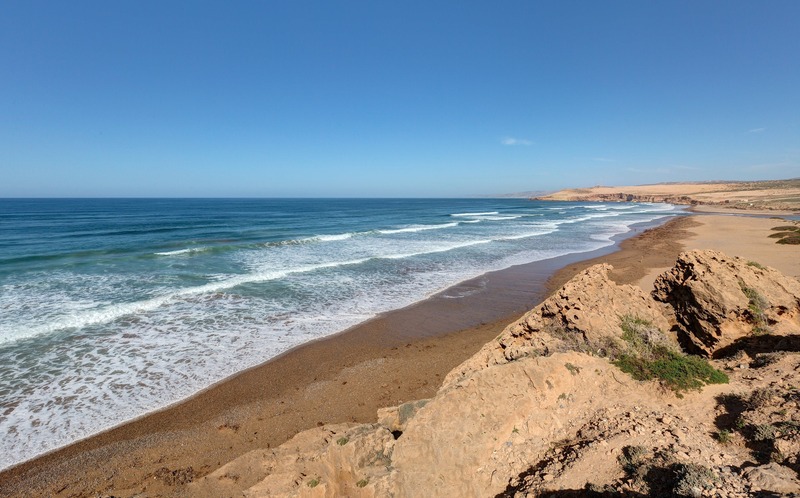 This wild beach is located alongside the rural towns of Tiznit and Sidi Ifni. 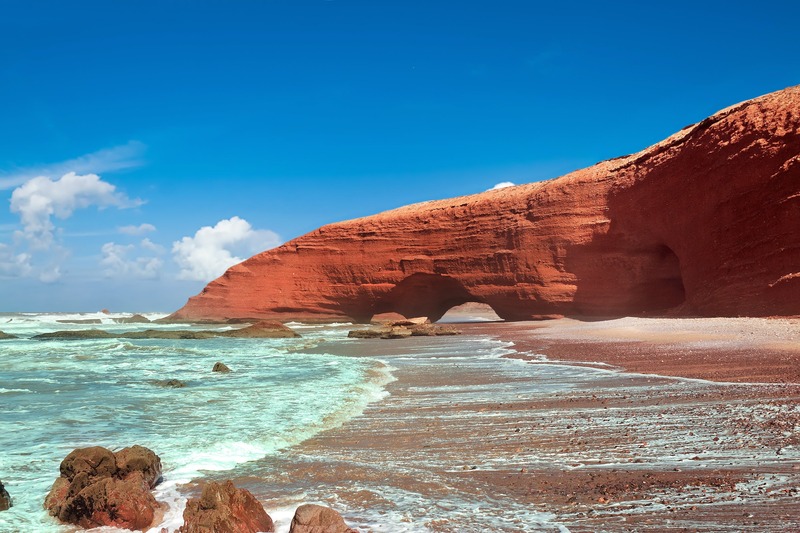 Close to the city of Agadir, hikers and surfers appreciate Legzira’s waves and landscapes, characterized by two formidable sedimentary rock archways, formed over thousands of years by erosion. 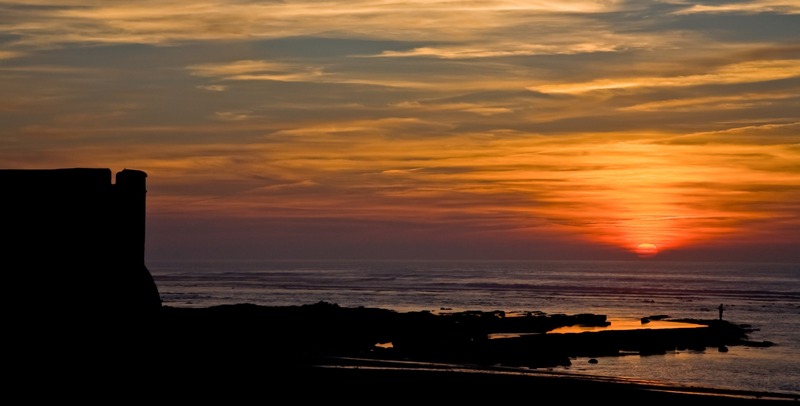 Do not miss the breathtaking sunset during which the rocks turn into a very attractive shade of red. These three cities (next to one another) are the main travel destinations for locals during summer. The true beauty and charm of Morocco’s summer capitals lie in their beautiful corniches and magnificent beaches with clear water, golden sand, and a mountainous backdrop. Located in the northern part of Morocco, El Hoceime is known for isolated beaches and the Rif Mountains that are popular among hikers. Quemado beach is considered one of the world’s most beautiful beach with crystal clear water and gorgeous white sand. Imsouane is a small, unpretentious beach town nestled between Essaouira and Agadir. Fishing and surfing are the two main activities. With a wonderful seaside landscape, Imsouane is the perfect place to enjoy the sun and take a break from big cities. PS: Do not forget to try the delicious fresh seafood at the fish market. Located south of Agadir, Dakhla hosts the World Kitesurfing Championships. The maritime winds and surrounding cliffs protect the inner bay from the strong swells and warm desert climate. 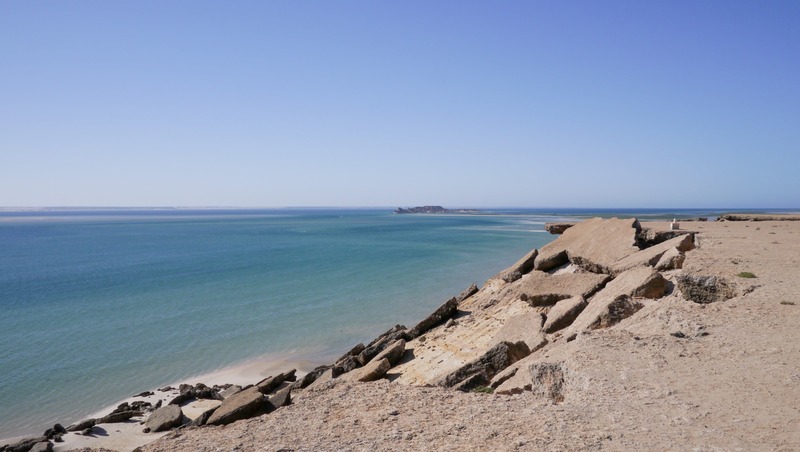 There are a lot of adventurous things to do in Dakhla such as, wait for it, Sahara sailing, swimming in the ocean and, you guessed it, kitesurfing! 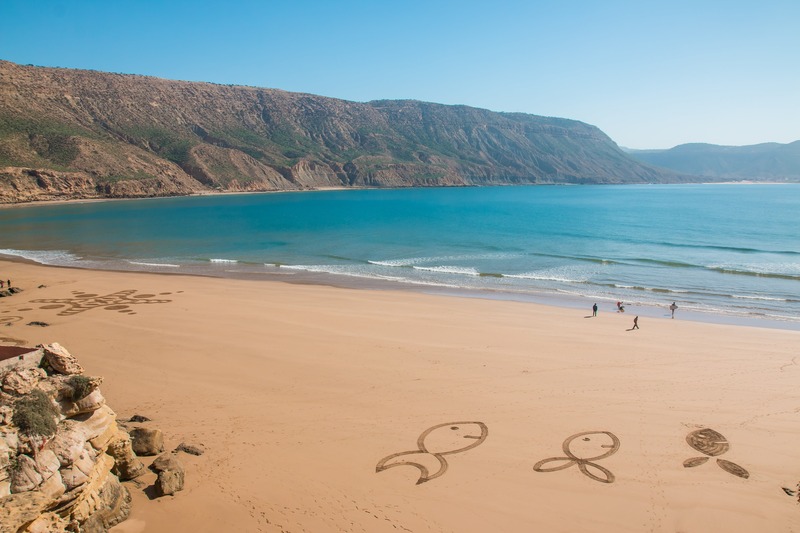 Assila is a small town located on Morocco’s Atlantic coast, and it has become a great destination for holidaymakers who are seeking tranquility and fishing activities. You will be amazed by the several sublime blue beaches available in town and by the north and south surrounding areas. With a coastline of 1,200 miles, Morocco boasts many intriguing settlements that border both the Mediterranean and Atlantic seas. 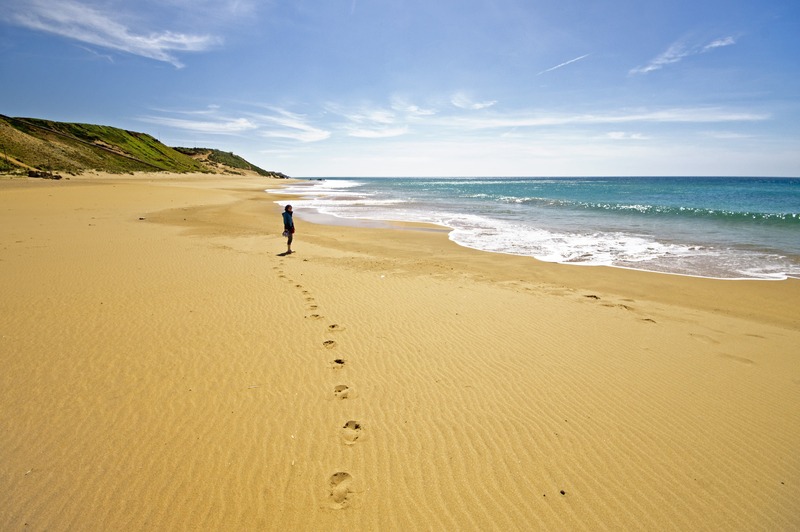 Pack your bag, take your bikini or swim shorts with you, don’t forget your flip-flops…the beaches of Morocco await you!